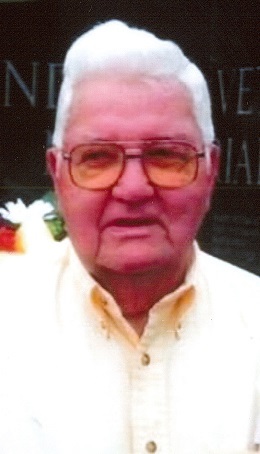 Ernest “Sonny” Johnson, 90, of Moline, passed away Jan. 17, 2019 at his home. A graveside service will be 11:30 a.m. Tuesday at Rock Island National Cemetery. Those wishing to attend should meet at Schroder Mortuary in Silvis at 10:45 a.m. Memorials may be made to Korean Veterans, Wounded Warriors or Honor Flight of the Quad Cities. Ernest was born May 18, 1928 in Millford, IL the son of Ernest and Leatha Johnson. He served in the Army during the Korean Conflict,receiving a United Nations Service Medal, 1 Overseas Bar, Korean Service Medal and 2 Bronze Stars. He was grateful and moved to be a part of the Honor Flight of the Quad Cities. Ernest married Darlene Snowden Oct. 22, 1955 in Erie, IL., and their 63-year marriage produced five children. He worked as a truck driver and retired from Crouse Cartage. He then went back to work, spending 13 years with Farm Service (FS). He was a member of the Korean War Veterans and was a retired Teamster. Ernest enjoyed camping, traveling, yard work, family gatherings and spending time with the grandchildren he loved. He also was a loving husband, father and friend. He was dearly adored and will be profoundly missed. Survivors include his wife Darlene; children Dennis (Vicky) Johnson; Debra Johnson; Susan (Dennis) Treanor and Sandra (Steve) Woods; 11 grandchildren; 5 step grandchildren; 7 great grandchildren; 2 brothers and 1 sister. Ernest was preceded in death by his parents, a brother, a sister, and an infant son, Brian.